The unions marched today, demanding the release of the long-held report of investigation into corruption that is rife at the hospital. 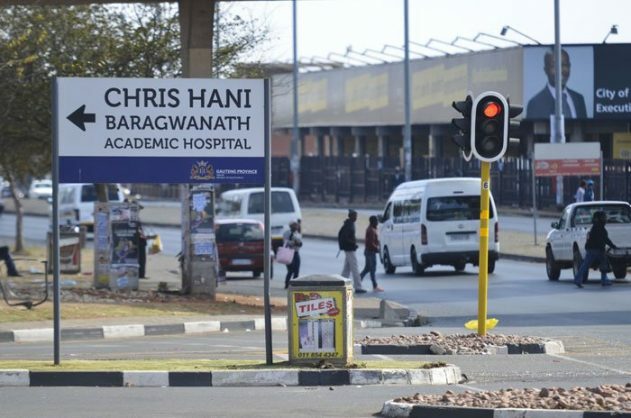 Labour unions at the Christ Hani Baragwanath Academic Hospital today marched over alleged corruption which they said crippled healthcare services at the hospital. Organised labour unions at the hospital, under the banners of the Democratic Nursing Organisation of South Africa (Denosa); the Health and Other Service Personnel Trade Union of South Africa (Hospersa); the National Education, Health and Allied Workers’ Union (Nehawu); the National Union Of Public Service and Allied Workers (Nupsaw); the National Public Service Workers Union (NPSWU); and the Public Servants Association of South Africa (PSA) were demanding the release of the long-held report of investigation into corruption that is rife at the hospital. Spokesperson Yandisa Zungula said the march followed numerous tea-breaks and lunch-hour pickets at the hospital by workers who have had to render compromised services at the facility to patients as a result of a “captured procurement system”. Zungulu said they have also handed over a memorandum of demands which was submitted to the hospital’s Acting CEO on August 1, adding that she has not yet been responded to it. The Democratic Alliance said they were supporting the demands of trade unions who were marching to draw attention to corruption and short staffing at the hospital. DA Gauteng MPL Jack Bloom said they were hoping that the department would respond constructively to the march which needs to be peaceful and not disruptive to patients.